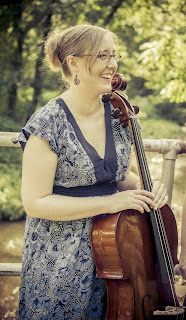 Kristen Jones is a freelance musician based in Baltimore, MD. Classically trained on cello, she discovered the steel pan while attending Oberlin College, and is involved in a wide range of projects on both instruments, across many genres. She can most often be seen performing with the "acoustic grunge" group ilyAIMY (i love you And I Miss You), the old-time/Americana trio Lulu's Fate, and the string chamber group Music By Anthem. Kristen is available for recording/session work and other musical collaborations. She also does solo & ensemble performances for weddings and other events.